Man, this is one showdown that is hard for me to report on. You all know I love both Best Buy and Amazon. I’ve decided this year to do a couple of these showdowns and Gift Guides rather than daily (and hourly) posting of Black Friday deals. I hope you like this format better. Remember, if you purchase off any of my links, no matter what you buy, it doesn’t cost you a dime, but I earn a commission. Those commissions pay for this blog and my travels. Thanks for supporting me! Best Buy’s Black Friday Sales begin at 5pm on Thursday, November 26th the doors close at 1am on Friday, November 27th and reopen at 8am on Friday, November 27th. Amazon’s sales start on Monday, November 23rd and ramp up every day. 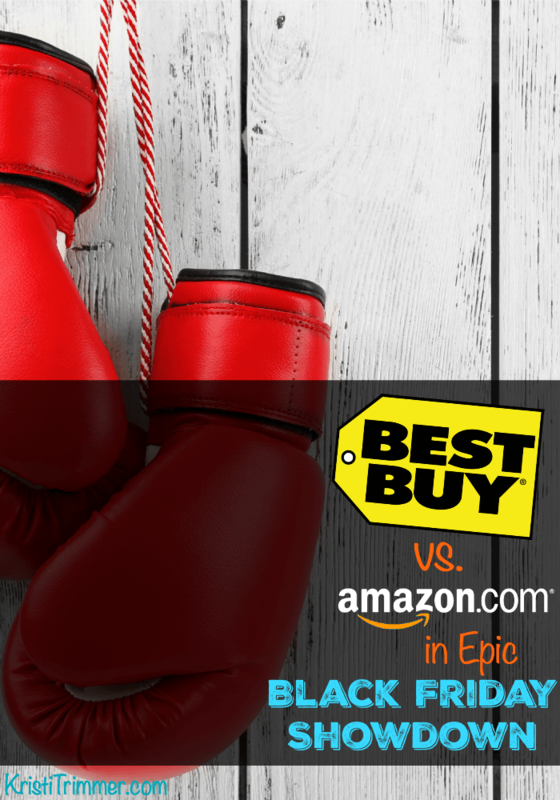 Best Buy vs. Amazon in Epic Black Friday Showdown is a list of all items in the Best Buy Black Friday ad. Amazon does daily Lightning Deals and Deals of the Day and a special Black Friday Deals Week. Best Buy has come out swinging at Amazon as some are priced the same or a bit lower. Amazon will continue to drop prices throughout the week, and both will sell out quickly. One of the great things about both companies publishing their sales early is that you can enjoy shopping from the comfort of your home. Break out the leftovers from My Famous Drunken Turkey or chill watching football in your jammies instead of fighting the crowds.